Everyone has an area in their lives in which they want to grow, overcome or manage. Are you feeling lost, unfulfilled or in need of help managing an area in your life? The Breaking Free Life Coaching Center may be able to help. We will address the hurdles with each other so that you can experience the promises of God’s peace, joy and contentment in your life. 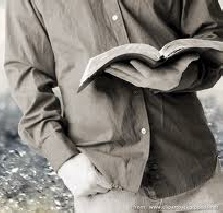 The breaking Free Coaching Center believes that Scripture is the foundation for healing diseases of the heart and soul. Our only true hope for healing is in Jesus Christ through whom we have been promised anything for which we ask in His name. Our volunteer staff is trained and supervised by Robert Rozsay, BCBC, CASCA, CADC, director of the Breaking Free Ministry at the Reformed Church of Bushkill.